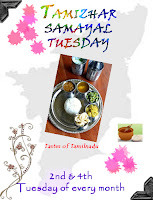 Hi friends, today its time to post for TST – Tamizhar Samayal Tuesday, which is brainchild of Nalini Suresh akka from Nalini’s Kitchen. 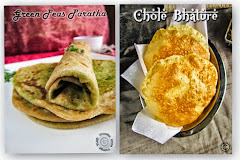 Here, we will post our Tamil cuisine on every 2nd and 4th Tuesday. Coming to the recipe, this week I posted Paal paniyaram, which is very popular in Tamil Cuisine especially in Chettinad Cuisine. 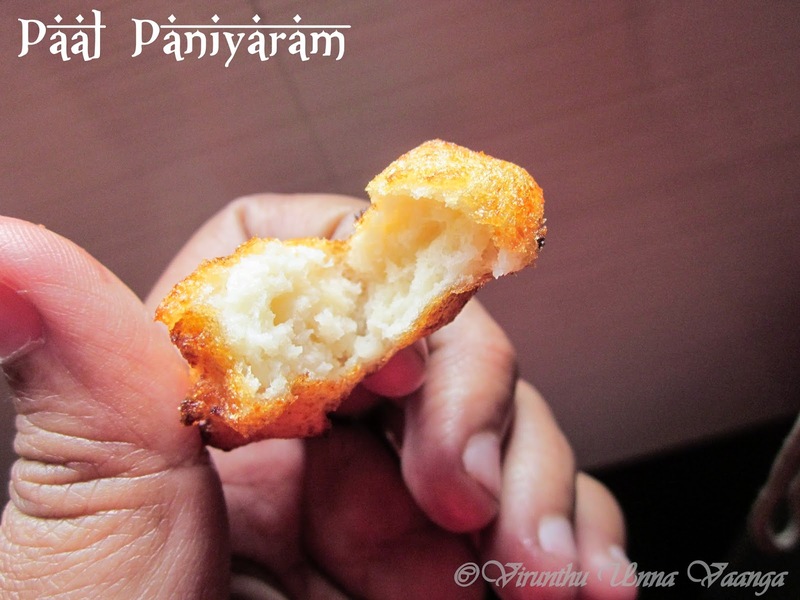 Whenever my mom grinds batter for medhu vada/Urad dal vada, she takes some amount of batter for the delicious paal paniyaram, because I love more than that of vada. 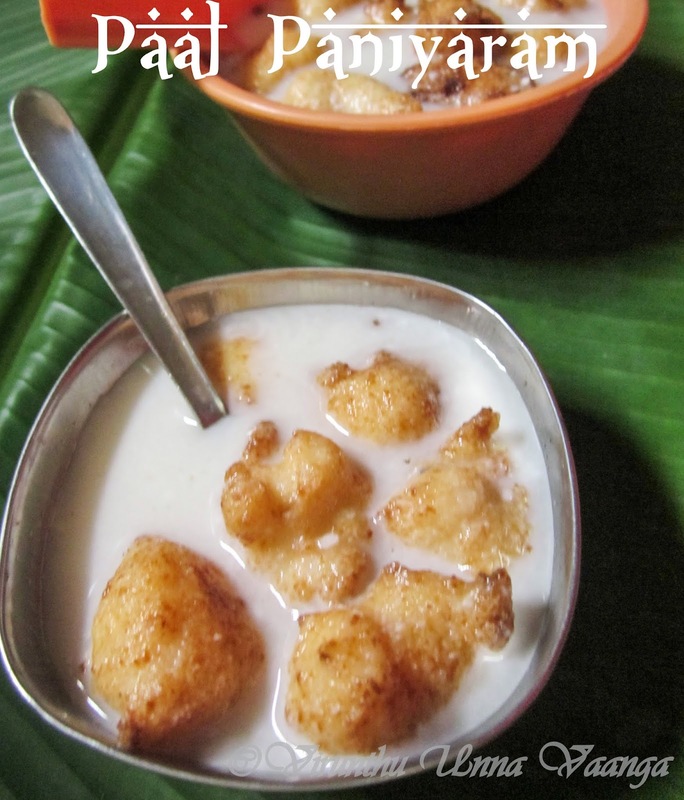 The urad dal batter, deep fried in oil and soaked in coconut milk and serves it as dessert with breakfast or evening snacks. The post was in my draft for long time, as now only gets time to post here. Grind it to fine paste with sprinkling water. The batter should be in correct consistency. To check the batter, drop a small amount of batter in a bowlful of water. If its float in the batter, its the correct consistency. Heat oil in a pan for deep fry in medium-high flame. 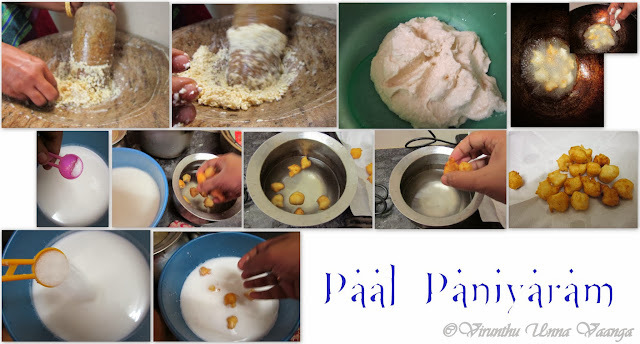 Take water in a bowl, wet your hand take a normal ball out of the batter and pinch into small drop it to the pan immediately. Deep fried the fritters into golden brown and take out from the oil and keep it in absorbent paper. Now transfer the paniyaram into the cold water for 30 seconds. 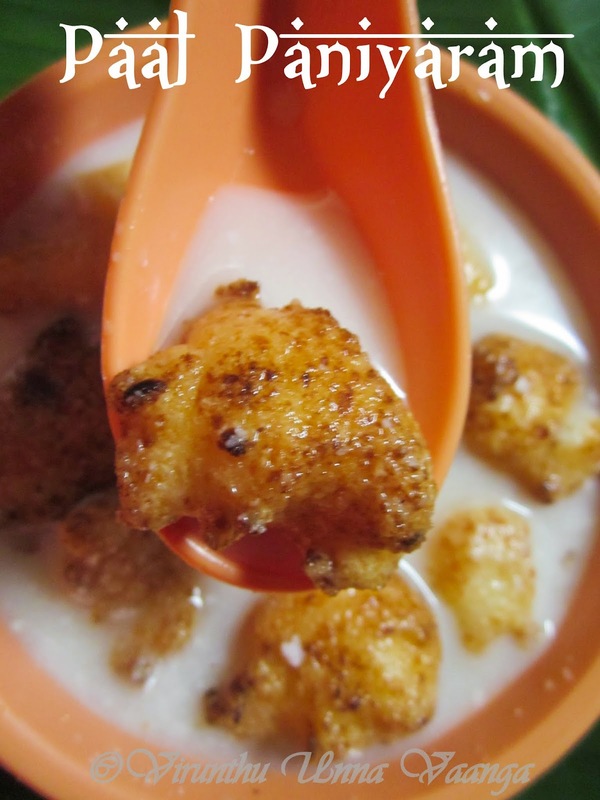 Meanwhile add little salt, sugar and cardamom powder to the coconut milk and mix it well. 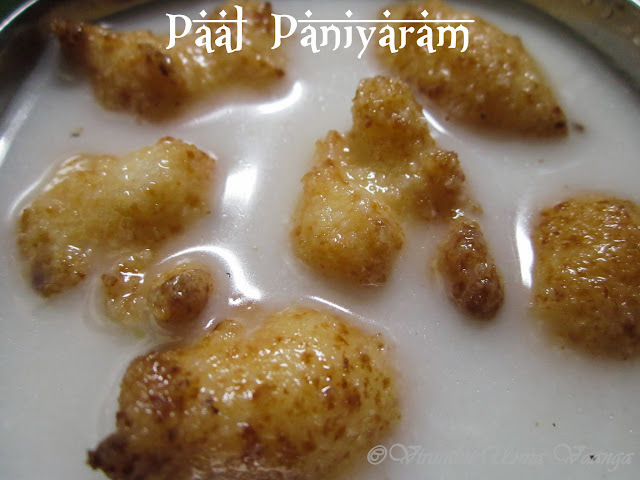 Take out the paniyaram from the water and add to the coconut milk and let it soak it for half an hour to absorb the coconut milk. Batter consistency is very important, don’t add more water while grinding. 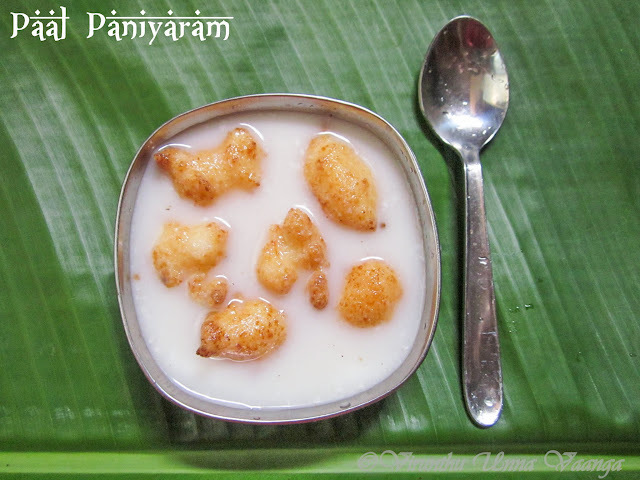 Fresh coconut milk will taste too good for the paal paniyaram. 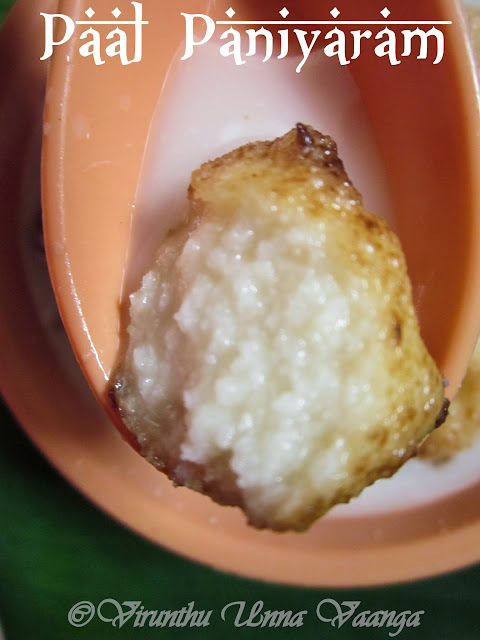 Deep fry the fritters immediately after grinding, else it will turn sour and will drink more oil. 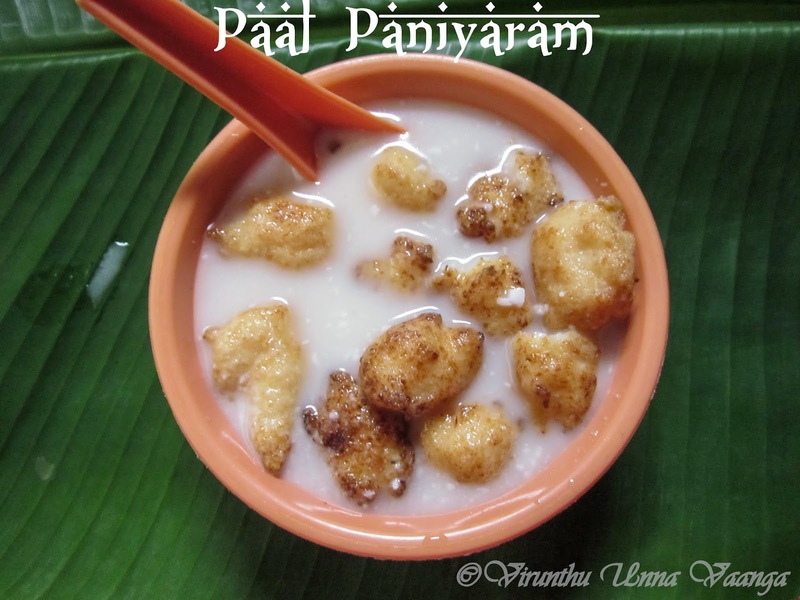 VERY DELICIOUS AND ADDICTIVE PAAL PANIYARAM!!! 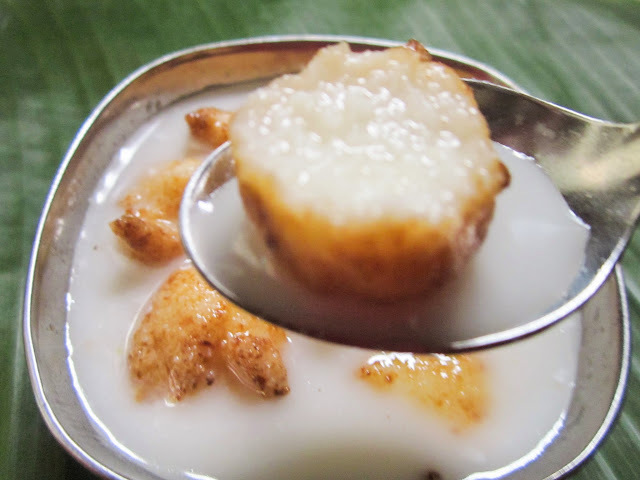 i have never tasted this viji .. seems like heaven. 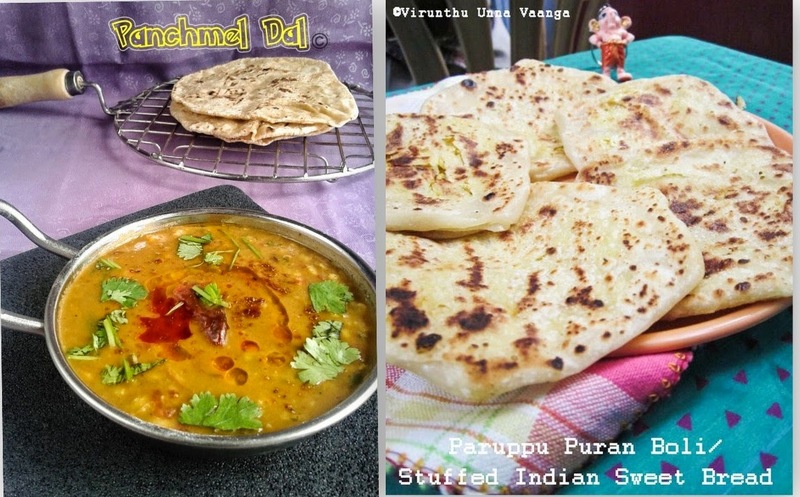 Traditional dishes are always very tasty. Wonderful recipe. Thanks for sharing Viji dear. 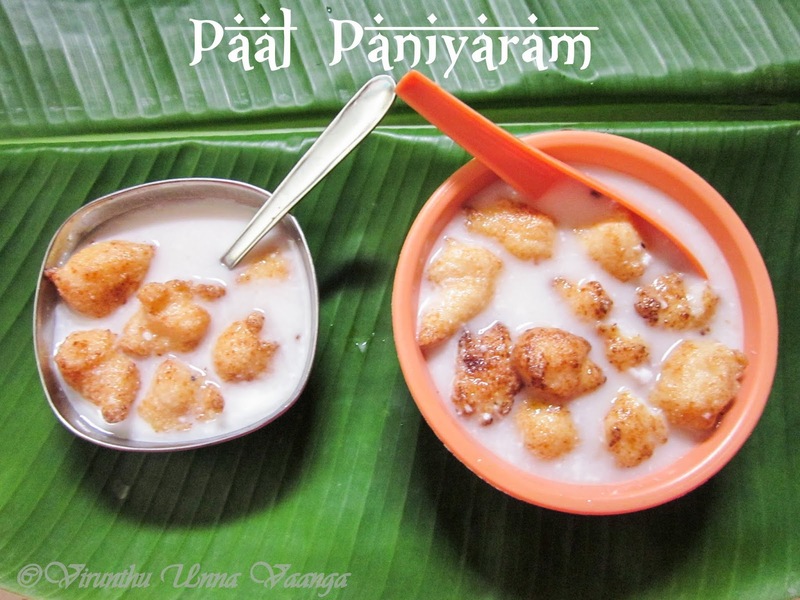 wow griding by old method ..gives more flavors to the dish .Love ur pal paniyaram . you have not told the use of sugar . sugar is to be mixed with the batter or with the coconut milk ?